James L. Avery, Sr. (born November 27, 1948) is the original voice actor forShredder in the 1987 animated series. 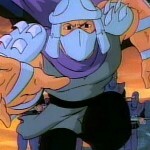 He was the regular voice of Shredder up until season 8 where Bill Martin took over the role. 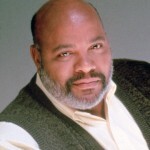 He is also better known as “Uncle Phil” in The Fresh Prince of Bel-Air. An imposing figure standing at 6’4″ (1.95 m), he often plays characters in legal or high-level professional fields. In addition to his fame in sitcoms, he did voice acting for many animated series, most notably the 1987 Teenage Mutant Ninja Turtles series (as the voice of The Shredder) and James Rhodes in the 1990s Iron Man series. He also performed in the single season production of Captain Simian and the Space Monkeys as “Gor-illa” a loveable, simple, and bi-polar gorilla. He has been the primary host of Going Places, a popular travel and adventure series on PBS. He also guest starred in That ’70s Show as Officer Kennedy. In 2000, he guest starred in the “Unfriendly Skies” episode of CSI as Preston Cash, a legally-blind witness to a murder who assists the CSI team with a near-flawless verbal account of what he heard onboard the flight. Avery recently played a Los Angeles County Medical Examiner, Dr. Crippen, (who has recently appeared in a wheelchair), on the TNT series The Closer. In 2004, he guest starred on the television series That’s So Raven where he played an entrepreneur. He also appeared in a 2005 episode of My Wife and Kids as Jay’s reluctant professor. He was cast in the new sitcom Sherri, starring Sherri Shepherd playing her father. Most recently, Avery wrapped production on Valediction, which could begin its film festival circuit as early as October 2011. He plays the role of Edward, the husband of co-star Bonnie Bartlett. The teaser trailer can be found on YouTube via Valediction Teaser Trailer.